OTG Music actually started out as a wish for Taiwo Herz to have his own music studio, where he could comfortably make his own music with his unique wild touches. Well, he got his wish because there, in a little town called ‘Denro’ on the outskirts of Lagos, Nigeria, he set up his little production base and inadvertently got himself the name ‘Oga OTG’. Due to his very neat, conservative volume and piano-freaked-Out rhythms, he got a large client base as artistes from all over Ogun and Lagos State seek him out for music production services. 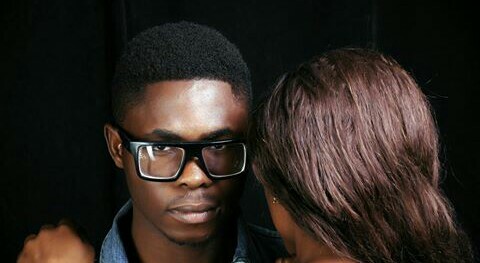 Taiwo Herz is actually a singer by the stage-nick TEEZY. But the need to monetize his beat-making and mixing skills made him a commercial music producer. OTG Music Studio currently provides basic music production needs such as Beats/instrumentals, song writing and conceptualisation, recording, mixing, mastering of songs, movie sound tracks, voice overs or radio jingles, audio documentary production, etc. That is the basically the beginning for OTG Music. More posts will drop in here on our journey through the music shades, so check in more often to see if we can help you achieve something with your music too. Making music at OTG Music Studio is always a thing to look forward to as its always fun and crazy, especially from the high spirits inspired by the different kinds of liquors and cold waters that rolls in in a daily basis from friends and fans. Inspiration gets higher as the big bass beats by Teezy erupts from the studio monitors and turns the senses up to max. Tell me you won’t make a hit song under such ambience. The hit is inevitable. Just visit soon and see for yourself. At OTG Music Studio, Time is money and we don’t waste it. We got our bookings and sessions planned on out creatively in a win win way to ensure good work flow and enough time to work on projects. For half session, its 4 hours, ( plus 15 minutes if your work is dope). So choose your choice at any time. OTG Music QOTD: What is your favorite Food? Gist us what you favorite food is and why you like it and it might feature on our 4k+ Facebook page! He still remains our most valued music producer at OTG Music Studio. Despite heavy stress from him work and NYSC service year, he never misses an appointment. His release of This Is Teezy Album, all produced by himself, was one of the best album released by us. Despite numerous funny conditions, he doesn’t complain. He is always looking for the next line of action to take. He has been our host for several years running and he’s the best at it. He single handedly, managed, funded and processed the album launch party for This is Teezy album. He has produced the most songs for our clients and written songs for almost half of our clients. These qualities, mean a lot to us and we would like to ask you to support #TeamTeezy by downloading, groove and sharing his music as far as you can. He has great promise in the music industry and we can obviously see that the sky is his starting point. This is why he is out Featured Artist for this month! Every Saturday afternoon should be Turnt for every music artiste out there. Especially the independent artistes. That’s why we have decided to host all aspiring artistes every Saturday by 2.pm till 6.pm at OTG Music Studio. This will basically be a freestyle by artistes on a beat made by Teezy, and a freestyle recording of it. Artistes get their freestyle copies and are able to show off their skills, not only to the OTG house but also to the world at large. Parts of freestyles by artistes will be filmed and posted on our Instagram and Facebook pages to help artistes with more exposure. All these and more features will be cropping up, starting from this coming Saturday. Get Ready!! !